EVGA's pet overclocker Vince K|NGP|N Lucido has taken to Instagram to share a teaser image of what is expected to be a special edition EVGA GeForce RTX 2080 Ti graphics card. It has become somewhat of a tradition for EVGA to follow up an Nvidia flagship graphics card release with a 'Kingpin' edition (KPE) and putting one and one together, this is it (pictured below). This will be the first Turing GPU packing SKU to get the Kingpin treatment. Unfortunately, the carefully selected photo isn't very revealing for those that hunger for the tech details of such creations. 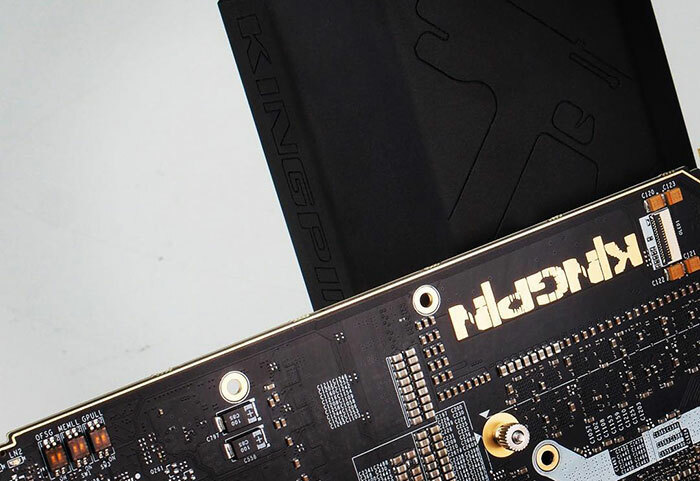 The focus of the shot is on the part of the black PCB with 'K|NGP|N' emblazoned in gold. In the upper half of the teaser image you can see what is thought to be the "distinctive Tek-9 Icon liquid nitrogen graphics cooling pot installed on the card". This card will, like previous Kingpin branded incarnations, be aimed at extreme overclockers and be released in a limited edition. Usually these cards come with over-specified power delivery subsystems and various other tweaking and OC friendly hardware and firmware features. 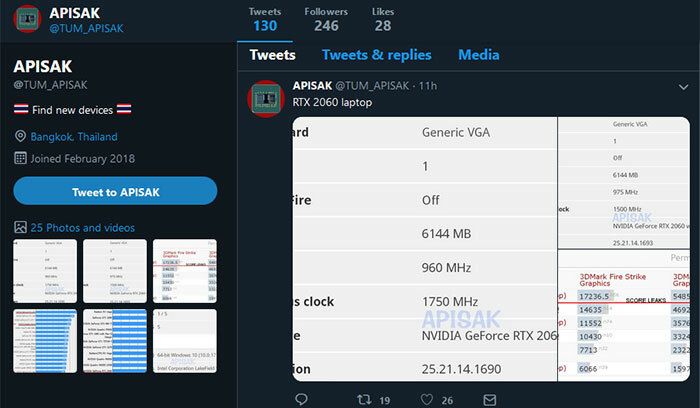 Mobile RTX 2050/2060/2070 coming to the CES? On the topic of upcoming Nvidia products, a report shared by ComputerBase, via Guru3D today, suggests we might see the first Turing mobile GPUs at CES in January. Apparently the RTX 2017 for laptops will arrive first, as the temporary mobile flagship, followed by a Max-Q version in short order.